I’m a diehard Man City mad man who bleeds light blue. 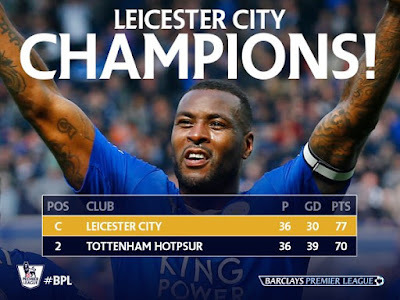 All football allegiances give way this week to the extraordinary achievement of the Foxes. Fist pumping congratulations to Claudio Ranieri and his extraordinary Leicester City for pulling off the coup of the century (and also to music maestro Rich Robinson whose love for Leicester knows no bounds). Leicester were almost relegated last season. They began this season as 5,000-1 outsiders for the Premier League Title they have won (the bookies are reeling to the tune of £25 million). The record book has been shredded and lies in tatters. Underdog, turnaround stories like this beauty make sporting competition the greatest show on earth. 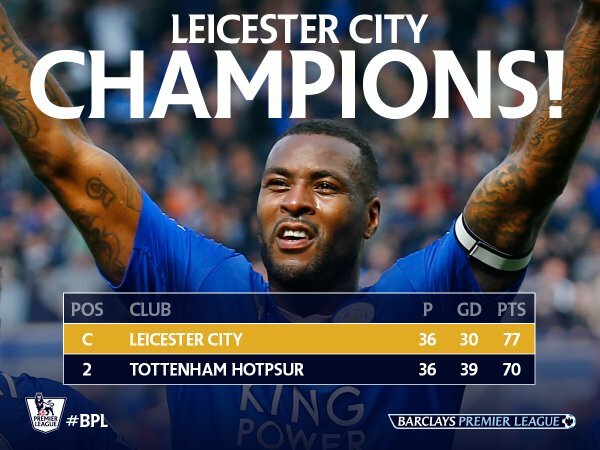 It took Leicester 132 years but they got there. The cost of assembling the squad was what my team spent on a single player. Here’s to Claudio, Jamie, Riyad and the boys. Dilly ding, dilly dong.